I'm just stopping in for quick late night post. As I was going through my pictures I realized that I never shared the cute little gift boxes that I made for my clients and coworkers. 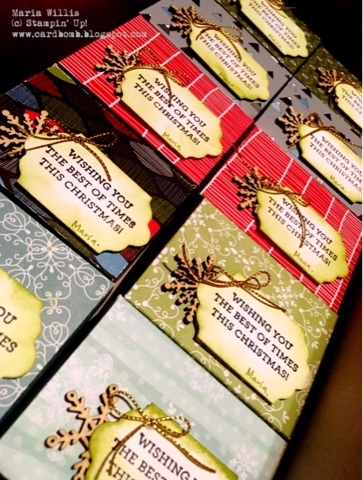 Each box was filled with an assortment of Ghiradelli chocolates. I love giving gifts and I try not to leave anyone out! I wish I'd gotten even just one more picture of these boxes because they were really cute... But this is it. Hope you like them!